The Internet of Things will be Invisible | The Computer Says How? In my previous post I wrote about how the IoT will be for the most part invisible, acting as an airbag for our lives, ready to step in when we need it, freeing us from the internet and not constantly competing for our attention. Invisibility means not having a user interface (UI). Successful IoT solutions will be those that remove complexity from our lives rather than add to it with another UI that demands our attention. Two technologies will be key to delivering the invisibility of the IoT: voice recognition and process automation. If the internet of things is to be invisible we need some method to interact with it. That’s were voice recognition comes in. Despite having an iPhone, apart from asking Siri a few stupid questions when I’m bored, I seldom use Siri. So if like me you were wondering why two of the largest IT companies on the planet, Google and Apple, have been focusing on speech recognition the recent launch of iOS8 will have provided some clarity. At iOS 8 Siri has become completely hands free with the “Hey Siri” command replacing initiation of Siri via the home button. 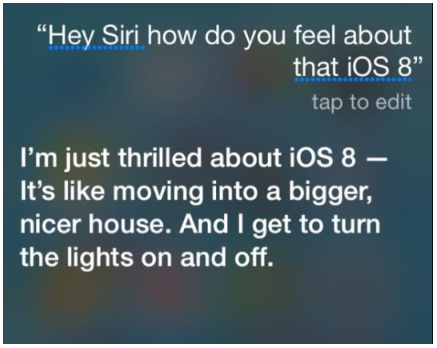 In addition from iOS 8 Siri begins to integrate with the apple home kit features and Apple have stated that Siri users will soon be able to issue a single command “and have the lights turn on in specific rooms, the thermostat adjust the temperature and the garage door open.” So here we have Apple confirming that voice recognition will drive the internet of things. “Hey Siri” follows on from the introduction of Google’s “OK Google” search command on Google Now earlier this year. While both the “OK Google” and “Hey Siri” commands may seem trivial or frivolous features, voice initiation of our interactions with smart devices will be a critical component of personal IoT solutions. 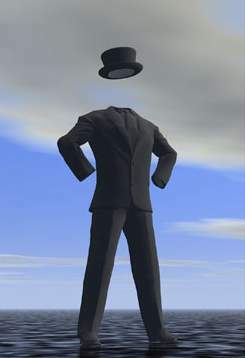 Invisibility not only relates to how we engage or interact with the IoT but also to the processes that will be triggered from the smart devices on our behalf. We are still in the foothills when it comes to the IoT. To date discussion of the personal IoT has focused heavily on smart homes and wearables. Many of these basic early sense and respond IoT solutions will turn out to be simply gimmicks or at most niche applications. Most of us regularly only use 4 or 5 apps on our mobile phones. Are we really going to spend significant sums replacing the locks on our doors to make them smart? My mum and dad never worked out how to program their video recorder and have managed perfectly fine. This is simple cost benefit analysis. The cost of many smart home devices and the time required to configure them will outweigh the benefits they’ll provide. But what if we could go “Hey Siri can you put this coat up for sale on ebay?” or “Hey Siri can you book me a flight to London on March 17th?”. What if we could say “OK google can you get me a house insurance quote?” or “OK google can you transfer my credit card balance to the lowest possible interest rate?”. What if we could make these voice commands anywhere in our homes or while we are on the move? These are mundane yet sometimes essential activities and processes we’d all love to be able to outsource. These solutions will require a mix of voice recognition, smart devices and process automation. The data generated by IoT devices is only of use if it is connected to processes. Process automation can put the data generated by smart devices to work and deliver significant value to the end user. Following acquisition by Google, Nest CEO Tony Fadell told WIRED “Both companies believe in letting the technology do the hard work behind the scenes so that people can get on with their lives”. This statement along with Apple’s iOS8 Siri enhancements confirm an understanding among the leading tech organizations that IoT solutions will be mostly invisible and that both voice recognition and process automation will be crucial components. This entry was posted in Internet of Things, IoT, smart process applications, voice recognition and tagged Internet of Things, smart process applications, voice recognition by peterwhibley. Bookmark the permalink.